Kzoo Cat Rescue is officially a 501(c)3 non-profit organization! 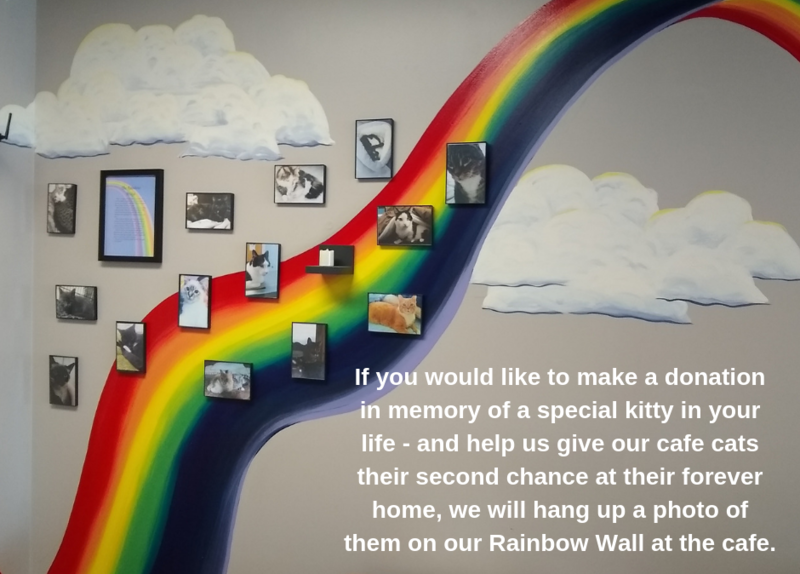 How YOU can help us save the kitties of Kalamazoo! Kzoo Cat Rescue is now a verified charity on Amazon Smile!! Just use this link to do your Amazon shopping... same prices, same services, but Amazon will donate a portion of qualified purchases to us! Whatever charity you choose, make sure you use smile.amazon.com to make a difference every time you shop! If you are interested in a weekly volunteer shift with Kzoo Cat Rescue - please fill out the volunteer application below! We have shifts available all days/times - cat care shifts consist of scooping litter boxes, filling food/water, cleaning and of course, snuggling and playing with our kitties! Our volunteers make sure our kitties are well taken care of whether Kzoo Cat Cafe is open or closed. If you are interested in any of the following volunteer opportunities, please email kzoocatcafe@gmail.com or message us on facebook! 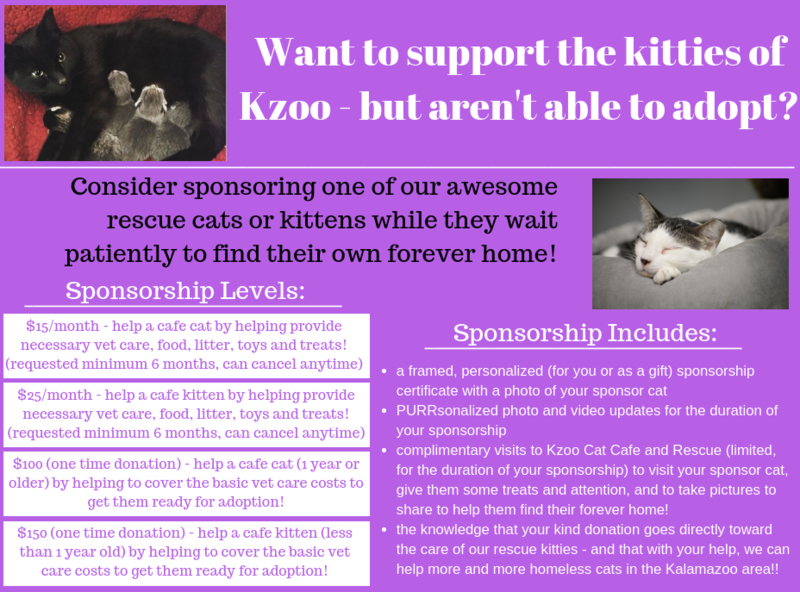 Become a Kzoo Cat Rescue member - have expertise in marketing? animal rescue? grant writing/fundraising? photography? Consider joining us! Fundraising - have an idea for a fundraiser? Let us know! We rely on contributions from the community to keep our kitties happy and healthy! Partnerships - are you or someone you know a representative of a company we should connect with? Let us know!